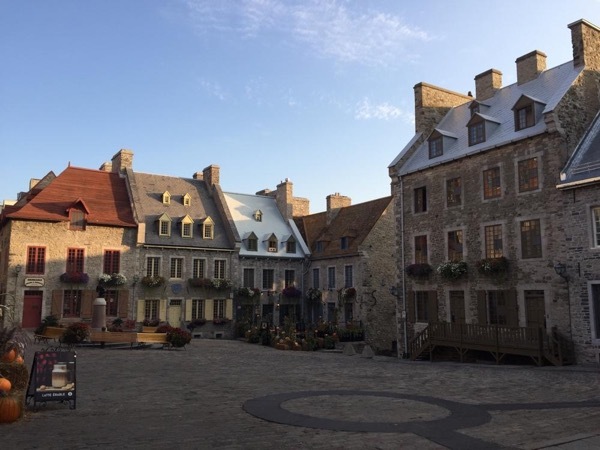 Traveler Reviews for Private Tour in Québec City, Quebec, Canada by Tour Guide Lynn R.
Lynn was wonderful to be with and we learned much about Quebec City, its history, culture and way of life. The four of us were impressed with her professionalism, friendly nature, charm, and willingness to share her family history and feelings on everything from the latest election to how local people feel about their life today. Besides the walking and riding tour, she also took us to a wonderful local restaurant that was perfect for the 4 of us. Lynn was very efficient with our time and we had fun !! Lynn is incredibly knowledgeable and personable, and she went above and beyond to make sure the tour was accessible and comfortable for our family member in a wheelchair. The tour of Quebec was very thorough, encompassing the historical and cultural roots of the city. She also recommended a lot for us to do before and after the tour, all of which was great! I can't recommend Lynn enough, and we'll be sure to book with her again next time we are in Quebec! Lynn is a true historian! We weren't sure if the tour was going to be worth it as we had spent several days exploring on our own. But Lynne took us down alleyways and streets that we had not explored with interesting stories of the new to us areas as well as the areas we had already explored. Pointing out markings on the street that had significant meaning to the history of Old Quebec. Also took us to the best ice cream in the city. And recommended restaurants. Money well spent and highly tecommend! Lynn gave us a fabulous tour of Old Quebec. Her knowledge of Quebec, French & English history was amazing. Her own ancestry was also very interesting. She also pointed out good places to eat & drink around Quebec. Hiring your company and especially Lynn to teach us the history of Quebec was the best vacation decision we made. Lynn's passion was able to make the history and its ancestors come alive for us. Not only is Lynn an amazing guide with a lot of knowledge, she is such a wonderful and kindhearted person. I really enjoyed taking the tour with her. You can't go wrong with booking her. Touring Old City with her was the highlight of my trip!